The outspoken religious leader was at the time speaking on Monday November 20, 2017 in an interview on Fresh Radio Vybz, the online radio station hosted by Paul A. Peart aka 'Gadiethz'. He said everybody he talks to in the NDP and the wider Territory believe that the Ministry of Finance should be given to Honourable Ronnie W. Skelton (AL). He said the best thing for the country now is for "Ronnie to be given the finance portfolio." The Bishop went on to say, "every last one of the backbenchers think that Dr Smith should give up the portfolio, every last one, and I can tell you this in confidence..."
The only persons who support the Premier keeping the Finance Ministry are "some of his very close supporters and that the only thing stopping the premier from giving it up is pride." Mr Cline said, if Mr Skelton was the Minister of Finance "by now we would have had all the audited financial reports in order...I can guarantee this as Dr Smith took on something that he is ill prepared for," he told Mr Peart. He said under Hon Skelton, who now holds the Health and Social Development Ministry, we would have "ensured accountability and transparency." The NDP member told the host 'Gadiethz' that he has no confidence in his party with Dr Smith as the Leader. He said the NDP backbenchers are not treated right, they have no voice, they are not listened to, they are only told to fall in line. Bishop Cline, who is the Senior Pastor of the New Life Baptist Church in Duff's Bottom on Tortola, said "one thing for sure, the next election the people will be given information and we will speak truth to power and the Christian community will have a voice." 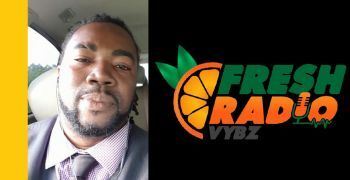 The founder of the Save the Seed Energy Centre and co-founder of the Hon Julian Fraser Save the Seed National Basketball League told the host that the public is very disappointed in the Leadership of the country and the Government does not have a plan to deal with the current crisis post Hurricanes Irma and Maria. In January of this year, Mr Cline was forced by Premier Smith to resign as Chairman of the BVI Health Services Authority Board because he publicly agreed with former Legislator and NDP spokeswoman Eileene L. Parsons OBE, who led an effort via lobbying and a letter (published by our newsroom), to remove Premier Smith from the post of Minister of Finance. 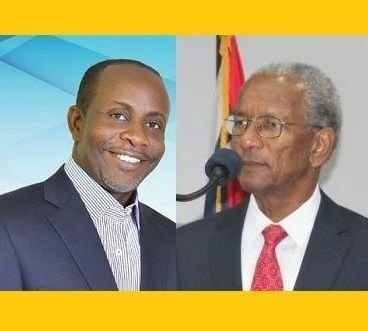 Dr Smith survived the “coup d'état” and also a Motion brought to the House of Assembly to replace him as Finance Minister by Opposition Leader Hon Andrew A. Fahie (R1), which was never seconded. Too much corruption has happened under this Premier,s watch. Even now with the distribution of aid some people in need will be looked over. We see what is happening, the flood like never before in August , two category five hurricanes in September.. God is speaking to us. Time for love, honesty and transpearancy. We have been given a chance. Pray and bring back the Christian community we once shared and enjoyed. The position that the Bishop held was not a salaried position. He only received a small stipend, so I don't know which bank you saw him smiling all the way too. History will show dr smith biggest political and leadership mistake was not reshuffling his cabinet. Ah hh me boy what a thing to tell de king de doc feed you me know you pocket dem full ungrateful set of people. Fraser? Please! We need youngsters like Marlon Penn to break the silence and take this country forward. These leaders' time has passed and its time for new blood. Not everyone like you online commenting about themselves. You are going to get a stroke with your obsession to lead this country. Not going to happen, now who is clueless? Give Fraser a chance. He loves this country and will do good, I believe. Fraser??? The one who couldn't put love of country above his bruised ego and second the motion for no confidence in the Premier? Please, the outside world would eat him up alive! He can't even speak in a clear and cohesive manner...his ideas are ALL over the place! I mean, I have to pull out a darn map every time I listen to him...struups...better i listen to the Premier's undecipherable ramblings. Dr Smith isn’t prepared to manage a piggybank. "The Amalekites came and attacked the Israelites at Rephidim. Moses said to Joshua, "Choose some of our men and go out to fight the Amalekites. Tomorrow I will stand on top of the hill with the staff of God in my hands." So Joshua fought the Amalekites as Moses had ordered, and Moses, Aaron and Hur went to the top of the hill. As long as Moses held up his hands, the Israelites were winning, but whenever he lowered his hands, the Amalekites were winning. When Moses' hands grew tired, they took a stone and put it under him and he sat on it. Aaron and Hur held his hands up--one on one side, one on the other--so that his hands remained steady till sunset. So Joshua overcame the Amalekite army with the sword." Let us be the Aaron and the Hur for our Premier. Maybe he his tired, maybe his hands are down. Let us help him to hold them up or else we cannot win. This is what I would like to hear from our Chrisitian community. I believe Mr. Clyne should stay from politics and focus on the converting bad people to a better way of redeeming themselves and follow the path laid by the Lord. He confuses me on weather he is a man of God or just a man looking for more opportunity for a fat salary. A waiting to hear he interview on social behavior on youths and adults, behavior on adultery and how true Christian should portray themselves... Leave Politics alone Brother!